Classical music education: For 75 years, here is how the Boston Symphony Orchestra’s Tanglewood Festival, where composer John Harbison teaches, emphasizes new music and teaches young composers and student performers. This is the closing weekend of this summer’s Token Creek Festival. American composer John Harbison (below top) is the co-founder and co-artistic director of the festival along with his violinist wife Rose Mary Harbison (below bottom). Harbison is a very accomplished man and musician. 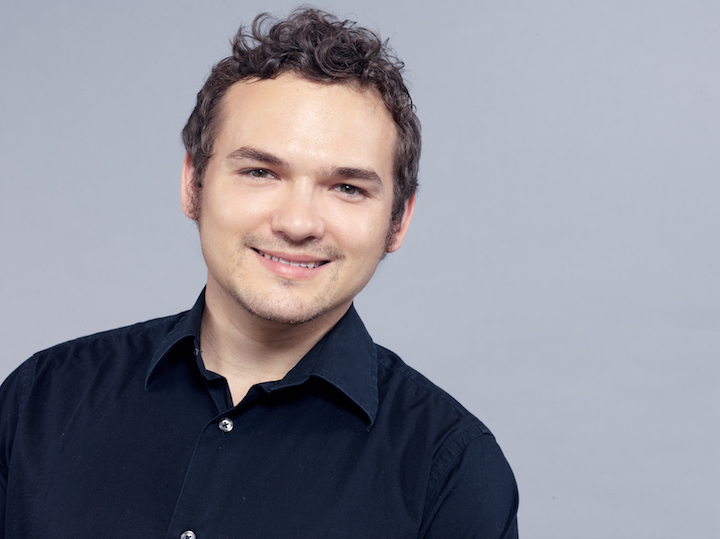 He has played the piano this summer for the festival, and he is also a preeminent contemporary composer who teaches at MIT. He has won a Pulitzer Prize and a MacArthur genius grant among his many honors. And at the Token Creek Festival, he is the most enlightening commentator on composers and specific works that The Ear has ever heard. 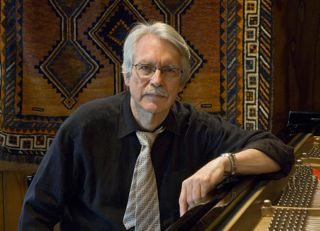 So it seemed a good time to bring to your attention a story done by NPR or National Public Radio about the Tanglewood Festival of the Boston Symphony Orchestra since it features John Harbison as a major source and interview. This summer the festival turned 75. 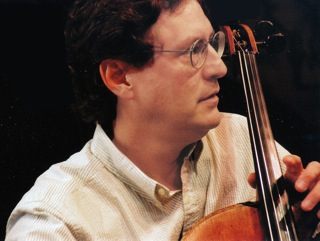 Harbison is, after all, the co-director – with fellow composer Michael Gandolfi — of the composing program at Tanglewood Music Center, which is where he often premieres his own new works and where he was busy working just before he came to Madison for the Token Creek Festival. The Ear finds it interesting to hear how, ever since the festival’s beginning, the creativity of young composers and young performers has always been cultivated and encouraged, with an emphasis on creating new music and keeping the classical music world vibrant and current. 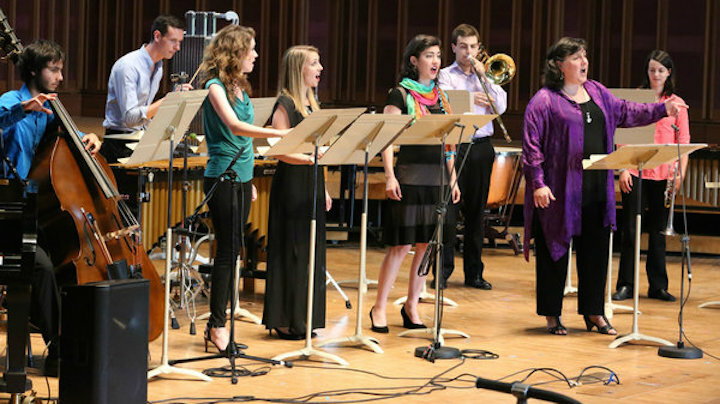 Below is a photo of this summer’s world premiere of a new work by Michael Gandolfi, with famed soprano Dawn Upshaw (on the far right in purple) working with student performers. 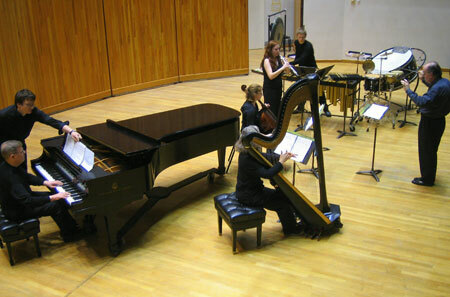 Classical music: UW festival will honor American composer George Crumb at 85. 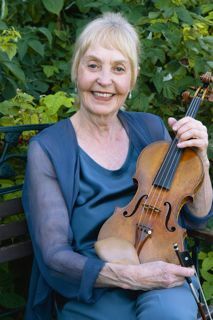 It runs from this Friday through Monday and features master classes as well as the acclaimed violinist Miranda Cuckson and the new music groups Nunc and Due East. 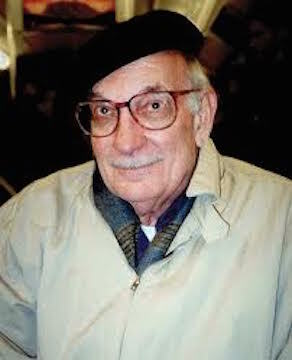 Pulitzer Prize-winner George Crumb (below, b. 1929) is one of America’s foremost composers and one of the most influential and innovative composers of the latter half of the 20th Century. UW-Madison composer and professor Laura Schwendinger, who is the Artistic Director of the UW-Madison Contemporary Chamber Ensemble, designed the 2015 CRUMB FESTIVAL – to take place from this Friday, March 20, through Monday, March 23, at the UW-Madison School of Music — to celebrate his 85th birthday. 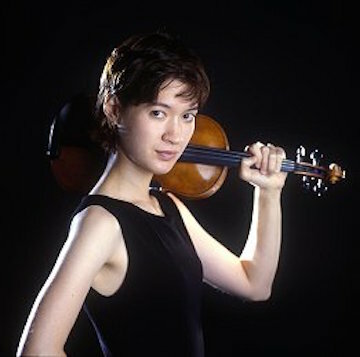 The Festival will feature four concerts and nine works by Crumb. Here is a schedule of events by each day. On Friday, March 20, at 8 p.m. in Music Hall, “Lakeshore Rush,” which features three all-star UW alumni, will be performing Vox Balaenae (Voice of the Whale). 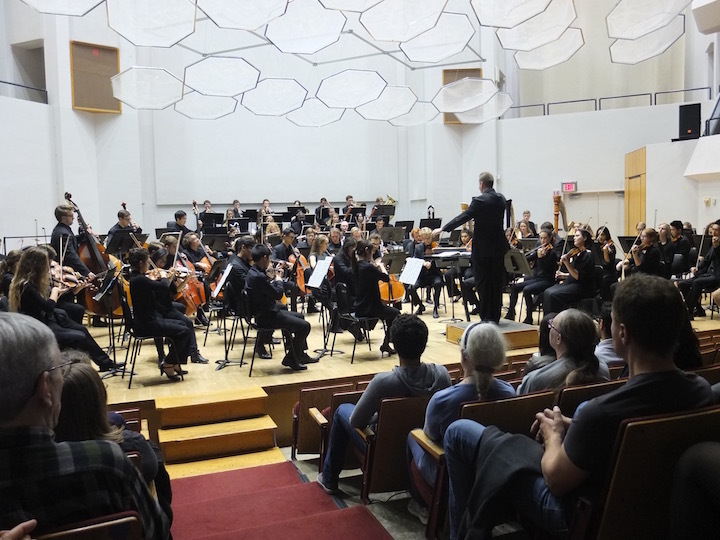 On Saturday, March 21, at 7:30 p.m. and also in the Music Hall, the UW Contemporary Chamber Ensemble (below top) will be presenting a concert featuring the Pro Arte String Quartet’s Parry Karp (below bottom) in Crumb’s Solo Cello Sonata and saxophonist Steve Carmichaelin’s Quest. UW graduate student, conductor Kyle Knox will be conducting University of Southern California professor Donald Crockett’s “Whistling in the Dark” and Les Thimmig will be leading his saxophone quartet in a work by University of California-Davis professor Laurie San Martin, in her Miniatures for Saxophone quartet; a work by University of California-Berkeley Music Department Chair Cindy Cox will round out the program. 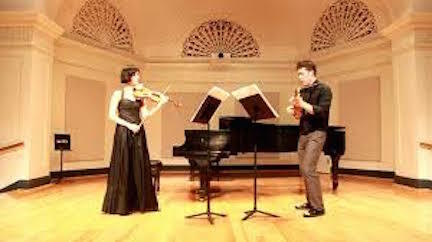 On Sunday, March 22, at 7:30 p.m. in Mills Hall, Nunc (below top, Latin for “now”), a New York-based music ensemble will perform, headed by the star violinist Miranda Cuckson (below middle), called “superb,” “deeply satisfying,” and “prodigiously talented” by the New York Times. 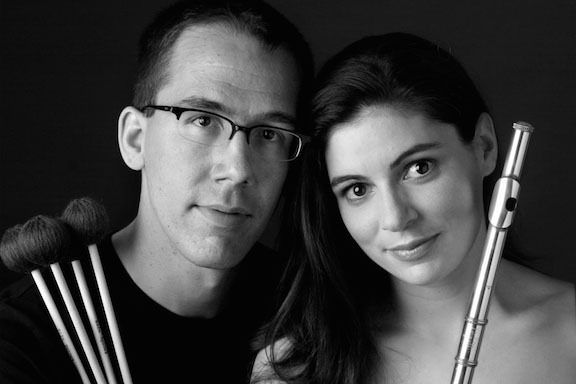 Finally, on Monday, March 23, at 8 p.m. in Morphy Hall, Due East (below), the flute and percussion duo of Erin Lesser and Greg Byer, lauded as “superb” (New York Times) and “brilliant” (New York Concert Review), will be joined by NYC-based harpist, Jacqui Kerrod, vocalist Amanda deBoer and bassist Mark Buchner, will be performing George Crumb’s colorful and enticing Madrigals (1-4) in a stunning multi-media presentation, which presents a “triptych video montage” that becomes a “magical and powerful environment,” along with works written for them by the Chicago Composers Consortium and also inspired by the works of Crumb. The consortium has been a staple of Chicago’s New Music scene for 25 years now and has counted as part of its membership some of Chicago’s best-known composers. 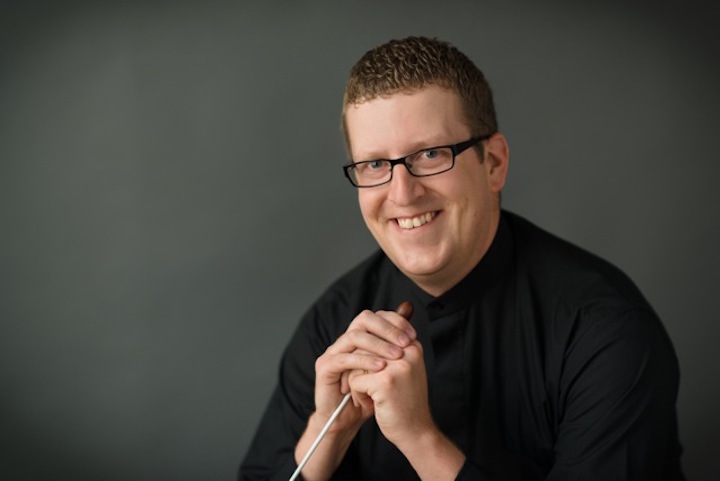 In addition to the four concert offerings, Miranda Cuckson, Blair McMillen, Erin Lesser and Greg Beyer will all be offering master classes, and Nunc will be reading works by student composers as part of a composer workshop. 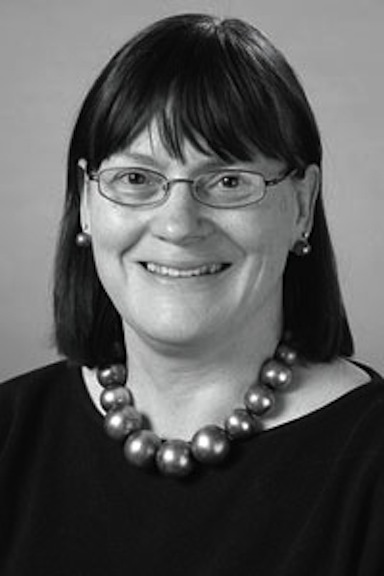 Susan C. Cook (below), music historian and director of the UW-Madison School of Music, is currently teaching a course focusing on George Crumb. 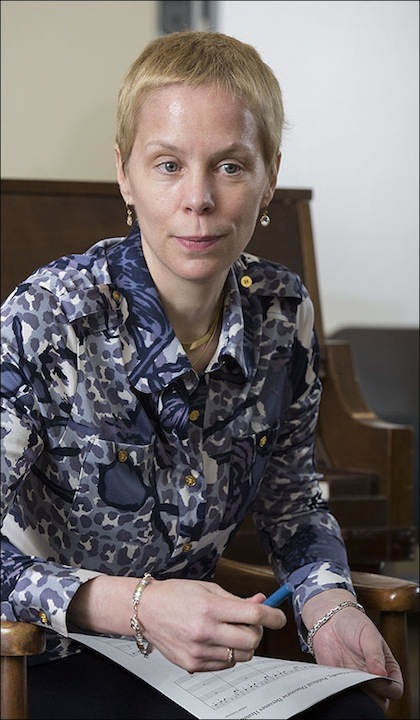 An expert in contemporary and American music of all kinds, Cook singles out Crumb as central to her own desire to study modern music. Nunc and Due East are ticketed events. Visit the Events Calendar at www.music.wisc.edu for more information. Classical music: Third Coast Percussion offers a FREE concert of new music tonight and a FREE master class on Thursday at the University of Wisconsin. 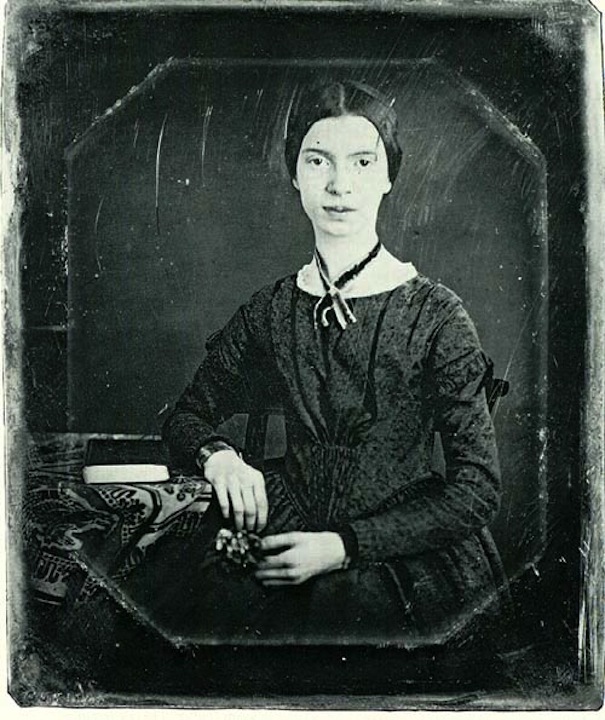 Also, settings by American composers of poems by American poet Emily Dickinson songs will be featured at the FREE Friday Noon Musicale at the First Unitarian Society. 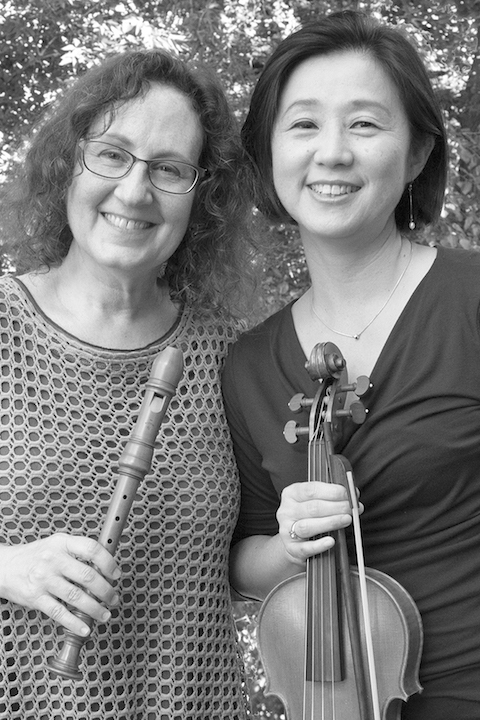 ALERT: On this Friday from 12:15 to 1 p.m., the FREE Friday Noon Musicale in the Landmark Auditorium of the historic Frank Lloyd Wright-designed First Unitarian Society, 900 University Bay Drive, soprano Julia Foster and pianist Susan Gaeddert will perform songs by Francesco Santoliquido and Francis Poulenc, plus settings of poems by the great American poet Emily Dickinson (below, in a photograph) by various American composers (Ernst Bacon, Daniel Crozier, John Duke, Henry Mollicone and Andre Previn). Tonight at 7:30 p.m. in Mills Hall, on the University of Wisconsin-Madison campus, the acclaimed group Third Coast Percussion (below, in a photo of Saveria Truglia) will perform a program of modern and contemporary percussion music. 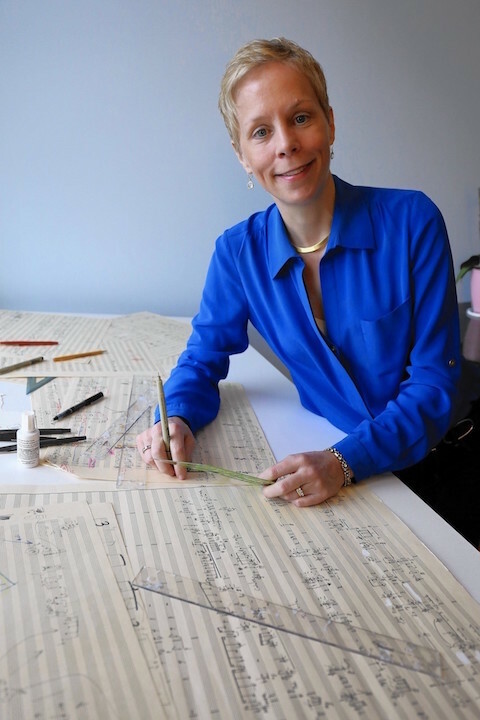 The program includes: “Fractalia” by Owen Clayton Condon (at bottom in a YouTube video); “Mallet Quartet” by Steve Reich; “Third Construction” by John Cage; and “Resounding Earth” (commissioned work) by Augusta Read Thomas (below), former composer-in-residence of the Chicago Symphony Orchestra. Then on Thursday, from 12:15 to 2:15 p.m. in Room 1321 of the George Mosse Humanities Building, the percussion ensemble will give a public master class. Hailed by The New Yorker magazine as “vibrant” and “superb,” Third Coast Percussion explores and expands the extraordinary sonic possibilities of the percussion repertoire, delivering exciting performances for audiences of all kinds. 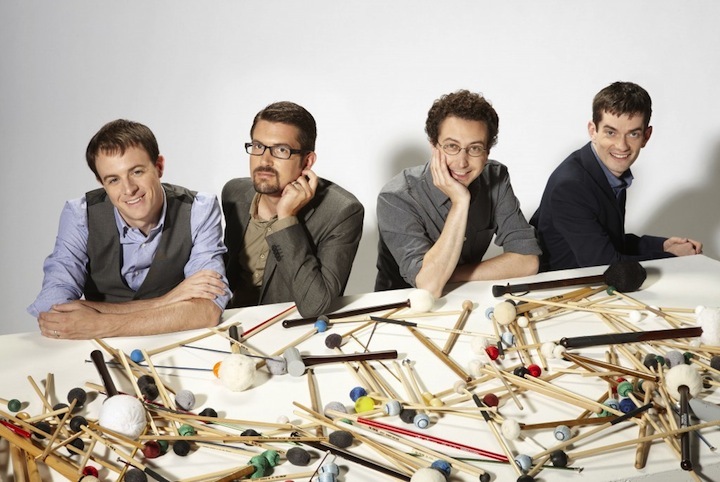 Since its formation in 2005, Third Coast Percussion has gained national attention with concerts and recordings that meld the energy of rock music with the precision and nuance of classical chamber works. Third Coast Percussion is the Ensemble-in-Residence at the University of Notre Dame.